Negotiations on a future Brexit deal have barely gotten started, yet EU workers across the UK are already finding themselves more vulnerable in the workplace. 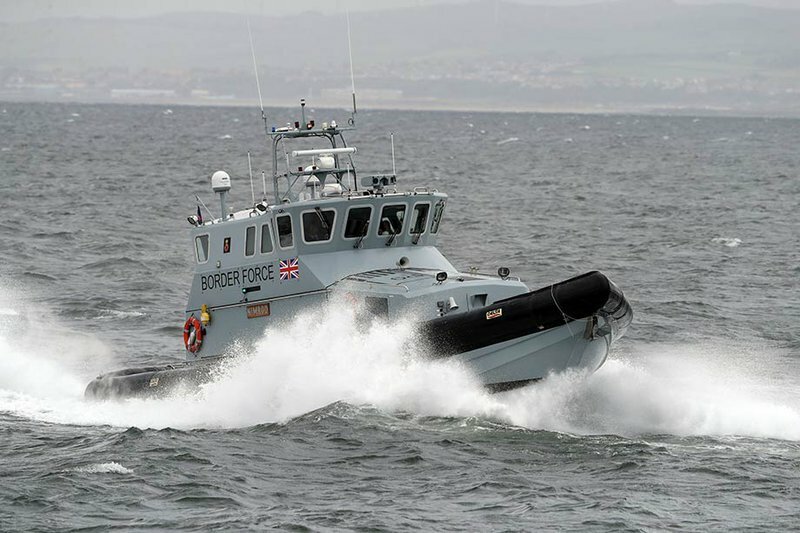 A new Border Force's coastal patrol vessel takes to the water in July 2017 to start the new, permanent deployment of a coastal patrol vessel off the west coast of Scotland. Andrew Milligan/PA Wire/PA Images. All rights reserved. A report published today by Focus on Labour Exploitation (FLEX) and the Labour Exploitation Advisory Group (LEAG) reveals how growing uncertainty about the rights and status of EU nationals in the UK is increasing the risk of labour exploitation. It shows how rising levels of hate crime, and growing migrant worker uncertainty about their rights, have already had an impact on workers. More worrying for the future, it is now clear that Brexit poses a real threat to future rights and protections for all workers. By creating the conditions in which exploitation can thrive, Brexit is now a major obstacle to the prime minister’s commitment to tackle so-called ‘modern slavery’. Our new report shows that workers are facing an increase in bullying, discrimination, withheld wages, threats and physical abuse. The common reason for deteriorating treatment of workers is Brexit: people are being told by employers or colleagues that because they come from the EU they cannot or should not complain when their labour rights are challenged. Because these workers do not have any certainty about their future rights, many are too scared to speak out. Whilst the status of EU citizens in the UK has not yet changed, for many the damage is already done. Whilst the status of EU citizens in the UK has not yet changed, for many the damage is already done. 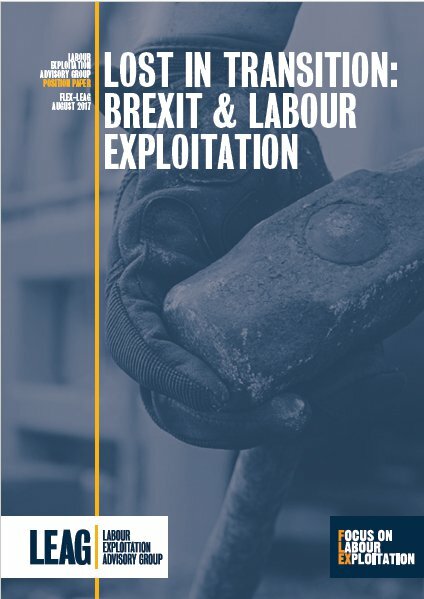 The report shows that there are three main ways that the Brexit process has already increased the risk of labour exploitation among EU workers. First, the uncertainty about the immediate impact of the referendum result is leading to confusion amongst EU workers about their rights and this makes it easier for unscrupulous employers to take advantage. Second, the increase in hate crime and discrimination following the Brexit vote creates fear and makes migrant workers less able to speak up about abuse in the workplace. Third, the anticipated increase in restrictions on immigration after Brexit is leading some workers to accept unsafe jobs and abusive treatment as they understand they will need to prove they have been working in the UK in order to secure their right to remain. As Brexit negotiations advance, the government’s aim of reducing immigration will be weighed against the need for EU workers to fill skills gaps and labour shortages in some of Britain’s major industries. FLEX’s report highlights concerns about proposals to introduce temporary migration systems to plug UK labour shortages after Brexit. Schemes allowing short-term labour migration in countries like the United States and Australia have been shown to place workers at risk of exploitation. Conditions of some temporary working visas, such as being tied to one employer and being unable to bring family members, make workers dependent and leave them open to abuse. The fact that workers also have to return home quickly also means it is almost impossible for them to pursue legal remedies for labour abuses against them, letting abusive employers off the hook. There is a dangerous myth that so-called ‘modern slavery’ is a problem that comes from outside and is driven solely by criminal gangs operating across national borders. This myth fits neatly with the promise of Brexit, that if we close our gates all our problems will be solved, but the reality is much more complex. Labour exploitation is home-grown; it happens in towns and cities up and down the country, in every industry. For migrant workers already living and working in the UK, exploitation is driven precisely by the vulnerabilities that a ‘close the door’ approach creates: insecure status, uncertainty about working rights, hostility and stigma, restricted access to the labour market, and fear of becoming undocumented. Exploitation is driven precisely by the vulnerabilities that a ‘close the door’ approach creates. The government’s aim of eradicating so-called ‘modern slavery’ is at odds with its approach to Brexit so far, which leaves the status of many migrant workers in the UK in doubt, and in so doing provokes vulnerability to abuse. If the impact of Brexit on these workers is not considered then the UK’s departure from the EU could greatly increase worker vulnerability, and play directly into the hands of traffickers. To prevent this the UK must ensure that EU workers are fully protected in law, that they are informed about their rights, have access to information about the changes ahead, and that labour rights are enforced for all workers. If, instead, workers are left in limbo then those who wish to do harm will fill the void. The government must act decisively to ensure that Brexit does not make Britain fertile territory for ‘modern slavery’ in Europe.